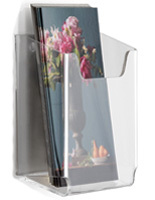 Mount Using Supplied Tape or Customer Provided Anchors & Screws. 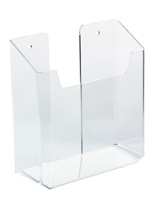 8.5" Wide, Half-Height Holder is Ideal for Displaying Cards & Surveys. 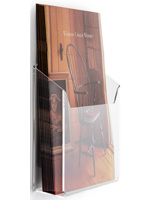 This commercial hanging information rack is perfect for placement in businesses that use information cards or conduct customer opinion surveys. 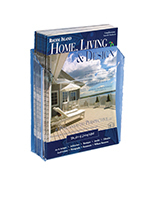 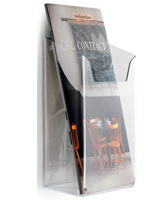 The 8.5” wide literature holder only measures 3.5” high and so holds half-height flyers or item information sheets well. 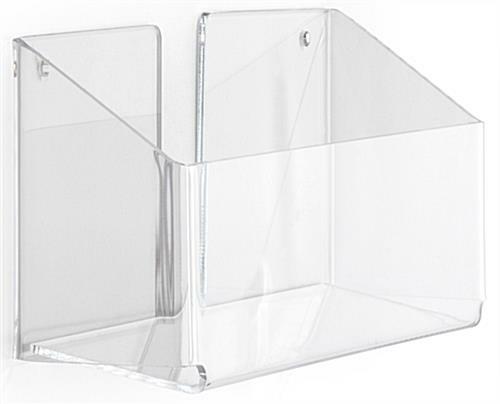 The information rack with single pocket can also display smaller items side-by-side and with a 2” deep acrylic bin the cards won’t have to be refilled for quite some time. 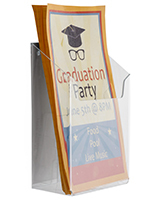 Because the flyer holder is wall mounted it will stay out of the way and also leave more counter and floor advertising space. 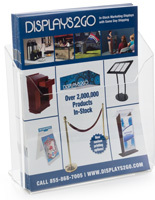 The rack is clear and will make whatever is housed inside easily seen even at a distance. 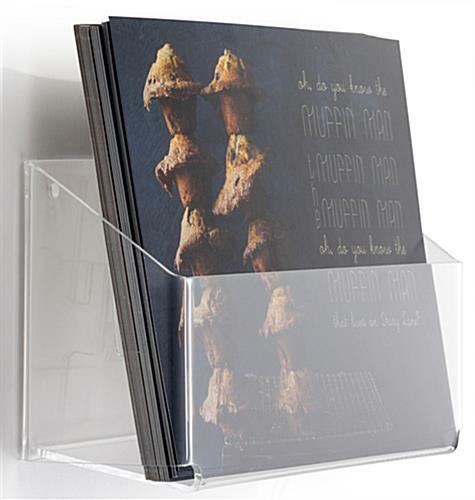 The acrylic display can be mounted to walls with the included tape or by using the pre-drilled holes on the back of the literature holder with customer supplied screws and anchors. 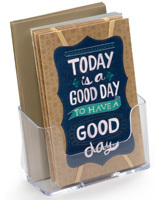 8.6" x 3.3" x 2.5"